This species of Murnong was the main staple food for the Wurundjeri Aboriginals until the mid-1840s, when the introduction of sheep rendered this hillslope yam virtually extinct. Faced with starvation, the Aboriginals were forced to hunt the sheep in order to survive, increasing the conflict and tension with European settlers. By reviving this native tucker in nature and Aboriginal culture, we begin a new chapter in Australia’s Murnong story. Though they’re rare in the wild, you may still spot them growing in bushlands in Victoria, NSW and the ACT. Murnong produces gangly, milky, white tuberous roots that may be eaten raw or baked. They can be prepared warm with butter, included in salads, mixed with other vegetables, or turned into a paste for desserts. They taste sweet and slightly coconutty. The slightly bitter leaves are also edible and may be enjoyed in salads with a vinegar dressing. The tubers start forming in midsummer beneath clumps of yellow dandelion-like daisy flowers. When the flowers blossom in Autumn, the tuber roots are ready for harvest. Simply dig them up and enjoy. 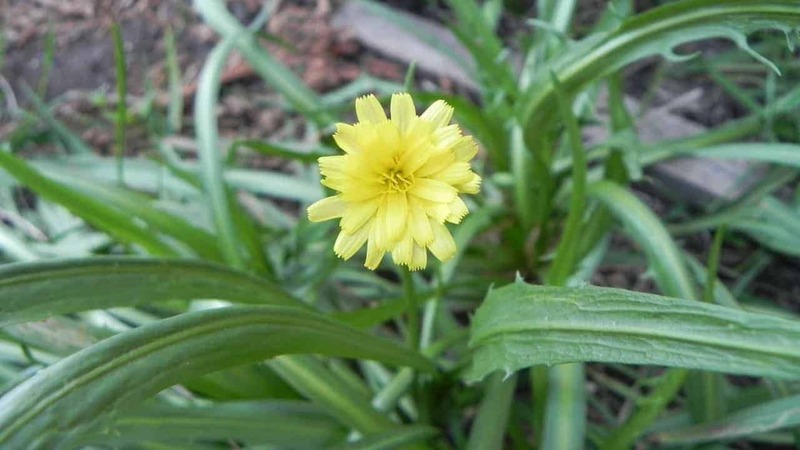 In the wild, this perennial species will tolerate a sandy soil and little water. But for best results in a home garden, use a rich and loamy soil, watering well during the Summer. It prefers full sun, but will also grow reasonably well in dappled shade. Murnong is suitable for both garden beds and large pots with plenty of root space. Do the Murnong tuber roots grow big like sweet potatoes? They may not grow as big in the first year, however you can leave the main tuber (harvesting only the off-shoots) growing for multiple seasons. How do I propagate my Murnong for next year’s crop? Unlike potatoes and sweet potatoes, Murnong Yam Daisy won’t propagate easily from its edible roots. Although you can collect and re-sow seeds, the process can be fiddly with varying rates of success. We recommend either buying a new plant in the next growing season or allowing the main tuber from your previous crop to keep growing in the ground. What pests and diseases are Murnong susceptible to? Murnong isn’t susceptible to many pests or diseases. Your crop’s biggest threat is most likely to be an overzealous of weed killers, as the above-ground parts of this plant can easily be mistaken for a weed.